[New for early 2016] I really wanted to start our reviews of the 2016 Edy's / Dreyers line up with something from their new grand candy line up but I still haven't seen any of them. So, we are going to grab one of the seven new slow churned options, each one named after a different state. I'm not really digging the texture, but for whatever reason it reminds me of hot cocoa. I take several more bites and if you can manage to get a bit of cookie on your spoon, it's definitely a nice combo. I really want to smash some graham crackers on this one right now because I think they would go great. A couple of Oreo wafers would work too as the cookie bits are pretty sparse. Still, it's got a good chocolate to vanilla ratio and so I'll give a thumbs up to that aspect. (it's not that you taste vanilla per say, just that it's there to change up how the chocolate comes across). Well, that was a quick bowl. Not sure what to say other than the texture is off and I'm wondering if they changed their slow churned formula yet again. It's not so much gummy as just strangely solid. 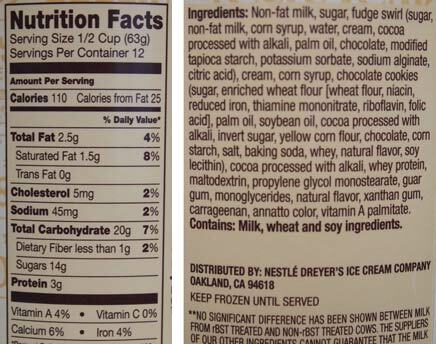 On Second Scoop: Oh Edy's, what food science is this? Yes, the overall flavor is fine. I still think hot cocoa (ice cream) but I'm sure some of you will get a chocolate cream pie vibe (not a huge difference between the two in this scenario). 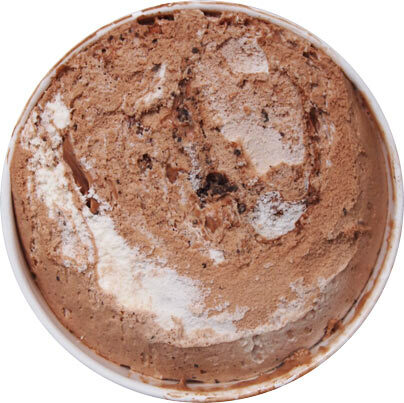 The texture though, it still seems like Edy's has yet again tweaked their light ice cream formula and I am not a fan. Granted, if they jacked up the cookie factor by three or four hundred percent, sure, I'd be down with that, but as is, the base texture has free reign to take a lot of fun out of this one. I suspect I'll try this one again if I find it on sale because maybe I got a bum container, but I am officially in no rush to try the rest of the new slow churned flavors. Disappointed that one of the new-ish flavors (the current Mud Pie on the Dreyer's website has coffee ice cream) I'm looking forward to didn't get a great review. Slow churned definitely is hit or miss in terms of mix-ins, so maybe you just got an unlucky batch. I meant to say this in the review, but I can't think of any of the limited edition slow churned stuff that had anything more than the bear minimum of mix-ins. If I can, i always choose their grand version over the slow churned version so as not to get bored half way through the container. hey, it's all good! I've just always had texture issues. I do think the right combo can mitigate those textures though more than other combos. Im surprised its chocolate and not coffee. 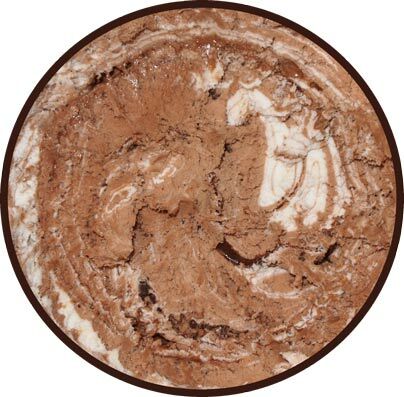 I always thought Mud Pie was coffee ice cream. Pretty much agree with the review. It's an OK-good chocolatish (it's not straight chocolate ice cream; I lean more toward the "chocolate cream pie" Dubba described) ice cream but not outstanding (though only 2.5g of fat per serving might make up for the flavor). My container was also pretty skimpy on cookie pieces (I think I had one awesome Slow-Churned Cinnamon Bun Fun but also can't remember a ton of mix-ins on the limited flavors; my optimism was more based on the Mint Cookie Crunch, which usually has a fair amount of cookie pieces); there was some fudge, although it was fairly visually and tastewise overwhelmed by the chocolate ice cream. The texture seemed different (gummier?) 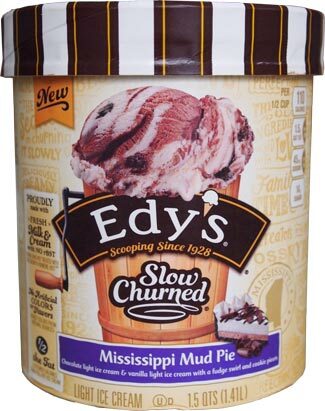 than other Slow Churned flavors (at least to my tongue's memory or to the other limited slow churned flavors I bought with this one); any chance the texture was their effort to create some sort of pie filling/mousse/chocolate whipped cream kind of taste as opposed to a straight chocolate ice cream? I guess we'll see what happens when you review some of the other limited slow churned flavors. My store also had some of the Grand flavors, but I'll wait until you review some before giving my thoughts. I was wondering if it was just an off container as well, but I've got a review of a "grand" flavor coming as well and even there the texture seems to have changed. It's not as drastic but it feels different to me. 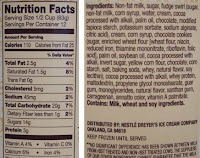 Edy's has a track record of mixing things up so it wouldnt surprise me if they had yet another formula change. thank you for the in depth comment! I've tried Texas Pecan Pie, Vermont Maple Syrup and Washington Apple Pie so far and I have to say that the Apple Pie is a winner for me. It reminds me of apple cobbler a la mode although not as sweet. I do like the crunch of toffee/maple bits in the Vermont Maple though. Texas Pecan Pie as expected is like regular butter pecan but with pie bits however, they are not as plentiful as you'd hope.